← Mama, I will thrill you yet. From thankless Thanksgiving turkeys and confusing Christmas conundrums, to less-than-happy Hanukkah horrors and New Year’s meltdowns, Wreck the Halls has an icing-smeared disaster for every occasion. 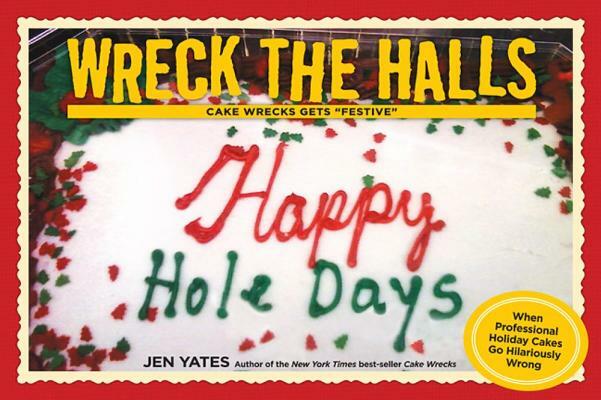 With additional chapters on Black Friday, family communication, and navigating the murky waters of politically correct cake greetings (“Winter!”), Wreck the Halls combines Yates’s signature blend of wit and sarcasm with the most hilarious frosting fails this side of winter solstice. Find sweet relief from the holiday madness (not to mention plenty of laughs) with Wreck the Halls. The perfect distraction for awkward family gatherings: you pull it out and all laugh together. Also, the perfect attraction for comfortable family gatherings: you pull it out and all laugh together!